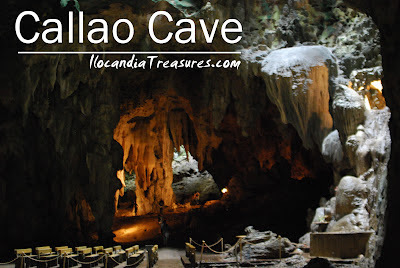 After my stint as judge in the Sambali Festival of Piat, I went on a side trip to the famous Callao Cave located in the town of Peñablanca in Cagayan close to Tuguegarao City. Mr Conag and Ms Mendoza accompanied me to see this wonderful cave. We climbed the 189 steps of the ladder going to the first chamber. Callao Cave is a cave with seven chambers. It is a popular tourist attraction in the province as well as in Region 2. 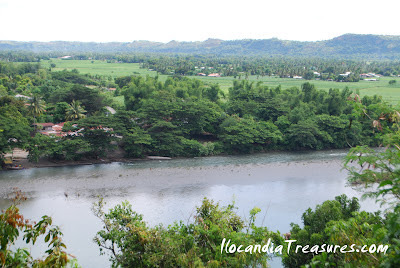 While ascending the stairs, one can view the breathtaking sight of the river. As soon as we reached the first chamber, we saw the chapel with the image of Virgin Mary. It is truly a unique and natural setting for a center of faith. It has of course gigantic stalactites and stalagmites. The first chamber has that natural crevice, which allows light to get into the cave, which serves as illumination for the otherwise dark areas of the place. I was not able to get to the other chambers because I got only limited time since Im going back to Laoag on that same day.